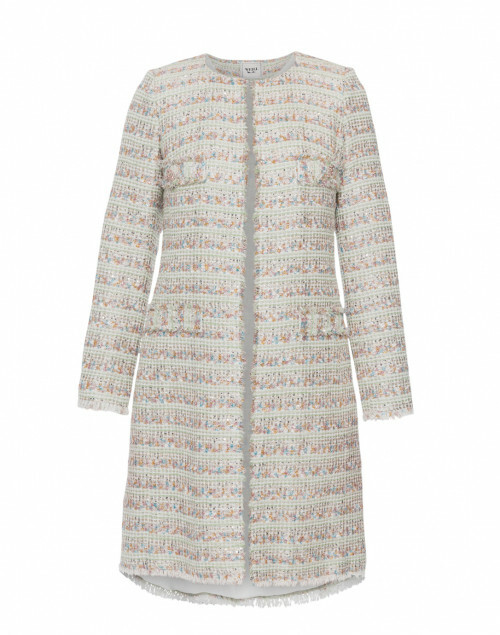 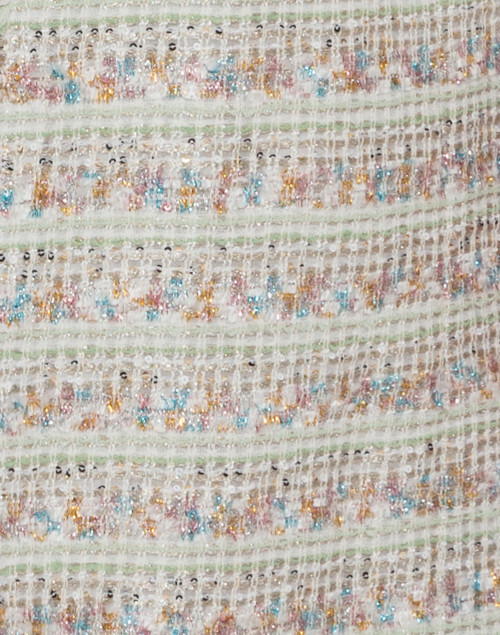 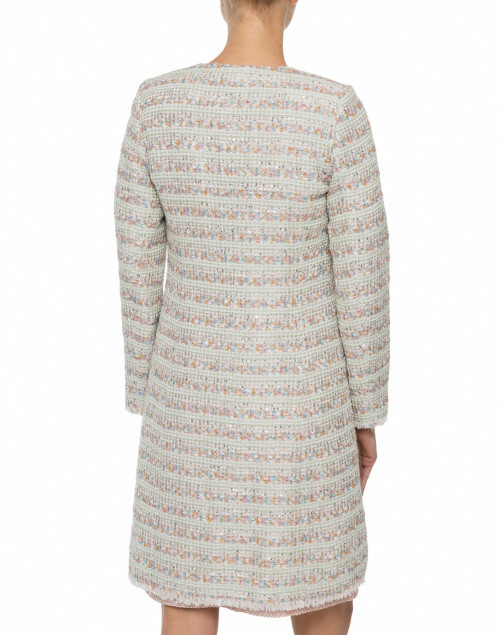 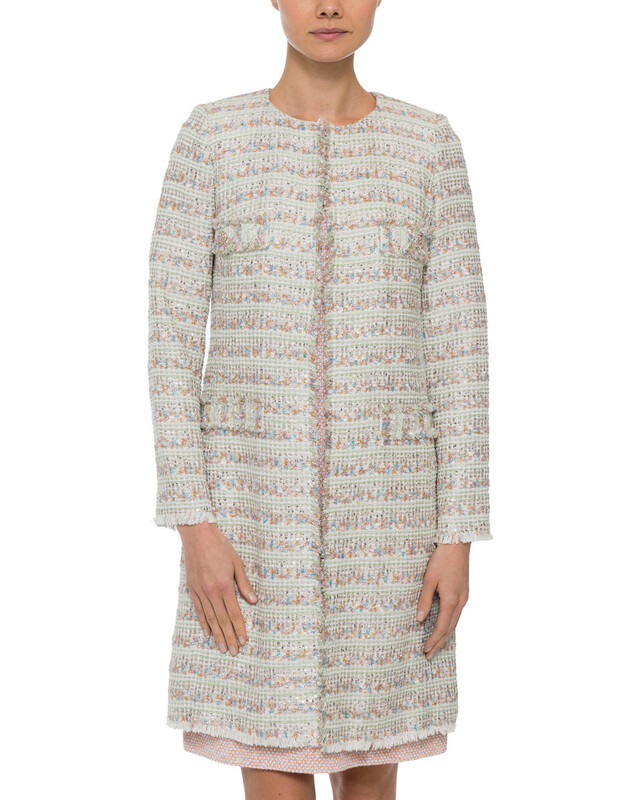 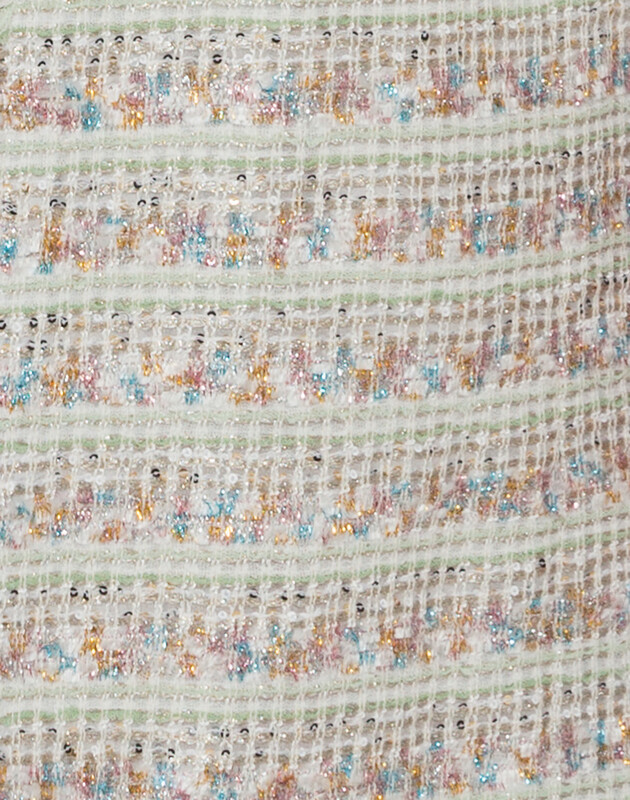 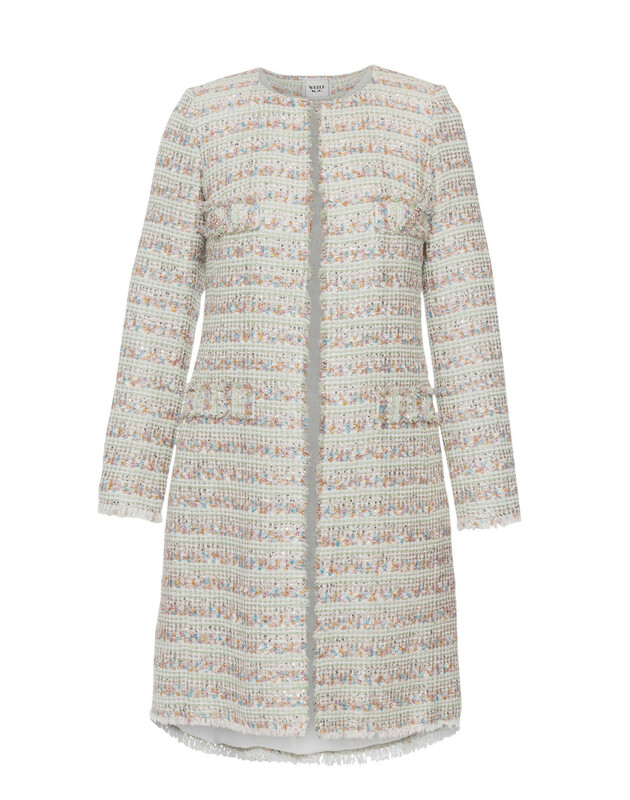 Weill's elegant approach to design is evident in this multicolor tweed coat. 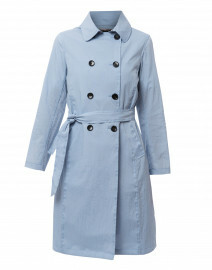 Tailored to a streamlined silhouette, it's shaped with a round neckline,four front pockets and decorative crystal buttons. 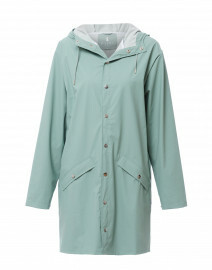 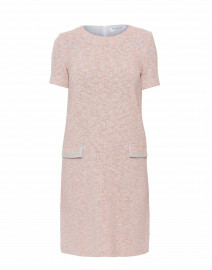 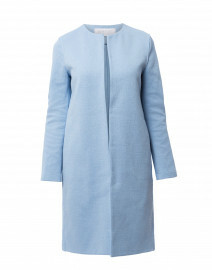 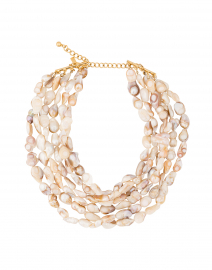 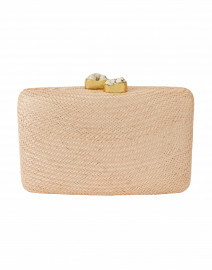 Pair it with a pink shift dress for a timeless and feminine evening ensemble. 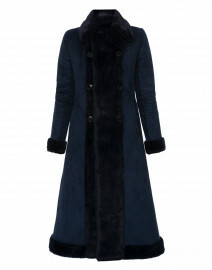 Length 37" 37" 37" 37" 37" 37.5"
Bust 34" 36" 37" 38" 40" 42"
Waist 34" 36" 37" 38" 40" 42"
Hip 36" 38" 40" 42" 43" 44"